Raise your hand if you’ve done an exhausting cleaning marathon in the days leading up to a visit from family and friends. Or if you’ve wondered when the last time was that you cleaned the bathtub, refilled your washer fluid, or mopped the floor that you’re pretty sure is supposed to be 3 shades lighter. 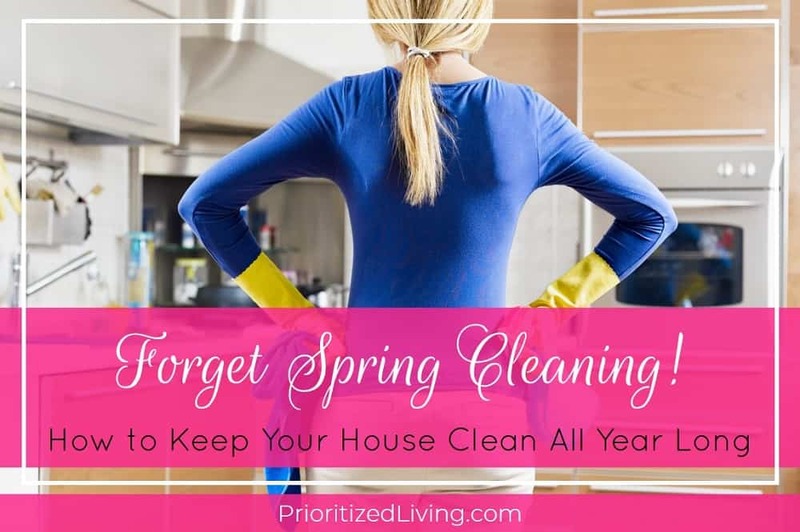 Or if you love springtime but hate the idea of spring cleaning! 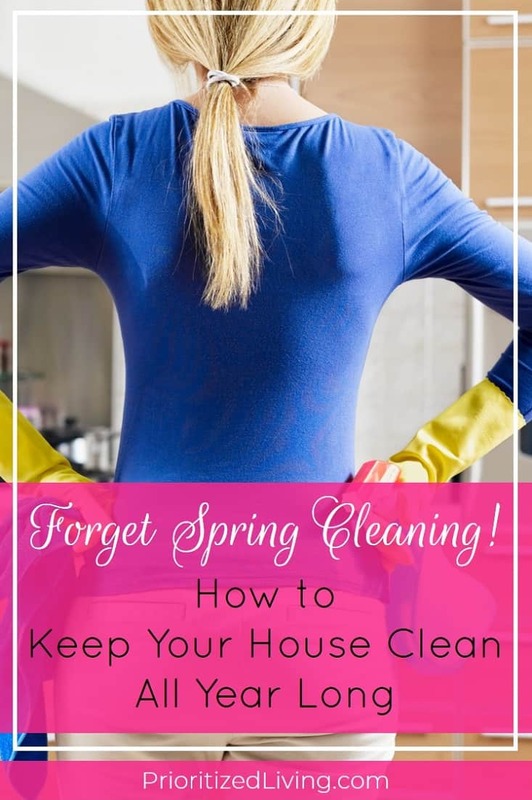 If that’s you, it’s time to stop choosing between conducting week-long cleaning torture sessions and living in a disorganized or less-than-clean home. And the way to do that is with a fool-proof, year-long family chore schedule. With a schedule firmly in place, you can routinely relax in a tidy, organized home and have an environment that’s nearly company-ready all the time. Here’s how it works . . .
1. Make a list of everything. Okay, this step can take some time, but it’s a task that you complete just once. 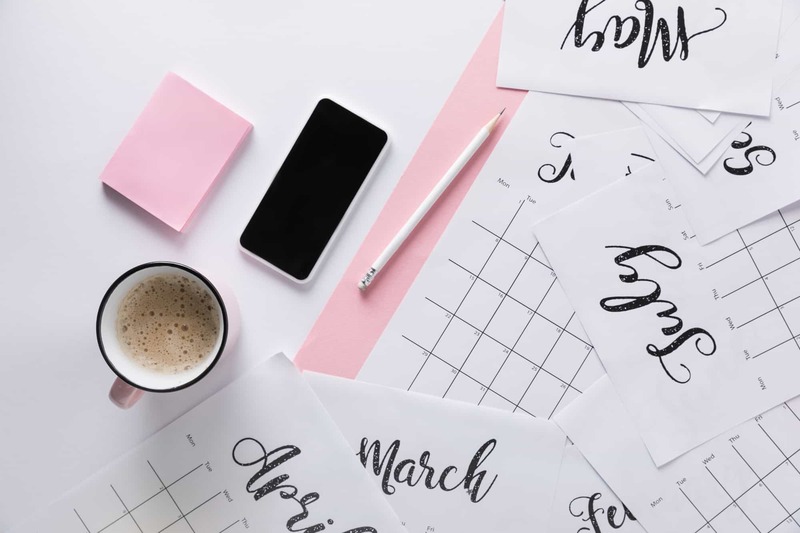 You may need to tweak your list on an annual basis, but you’ll need to invest only one big chunk of time to create a comprehensive list. So walk around your house, look back in your planner over time, and check out the list below. Write down absolutely everything that your family tackles when it comes to household chores. 2. Now give every task a time estimate. Don’t skip this step! It’s essential that you know precisely how much time you’ll need to set aside for chores. Plus, having an estimate is very helpful in scanning for a 5-minute or 10-minute activity when you’re short on time but want to get things done. 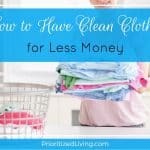 Put down your best guess down for how many minutes every chore will take. After living with your finished chore plan for a while, you may find that you have a better sense of the true amount of time needed. At that point, you can go back and revise your plan. 3. Add it all up. Keep in mind that you’ll count the minutes for annual activities just once. But you’ll need to multiply the time for a semi-annual chore by 2 since you plan to do it 2 times during the year. Likewise, you’ll multiply the minutes for a quarterly chore by 4, a monthly chore by 12, etc. A spreadsheet can make this process much easier than a calculator or pencil and paper. 4. Give yourself some downtime. Okay, so you’ve got your total chore minutes for the year. Before you figure out how many minutes to assign to each week or each day, I recommend you plan for some no-chore days. These could be days that you’re too busy, someone is sick, you’re on vacation, or you simply need a break. Pick a number of no-chore days for the year. Then subtract that number from 365 — or 366 if you’re running this calculation for a leap year. The number you get is the number of days you’ll have to tackle chores during the year. 5. Compute your daily chore time. In Step 3, you calculated your total chore time. And, in Step 4, you figured out your total number of chore days. Now simply divide your total chore time by the number of chore days. For instance, if you have 26,000 minutes of chores to tackle this year and 325 days to do it, you should plan for 80 minutes of chores every day that you’re not taking a break. Whoa, that’ s a lot of chore time! But remember that your number is for everyone — you, your spouse, and your kids. Make sure that each person understands how much time or for which activities he/she is responsible each day. Once everyone’s in on the game plan, it’s just a matter of pressing play. 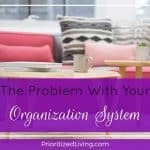 There’s no more guessing what needs to be done, realizing that it’s been too long since you’ve done some chore, or having to spell out for every member of your household who needs to do what when. With a written plan firmly in place, you can take the anguish — and hopefully the nagging you hate to do! — out of family chores. 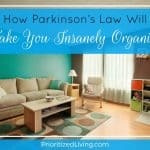 Need to start your family chore brainstorming session? Here are some typical household chores your family may need to tackle. Keep in mind that the frequency with which you tackle each of these chores depends entirely on your family and your lifestyle. So once-a-week laundry for 2 people might turn into twice-a-week laundry for 4 or four-times-a-week laundry for a family with a spit-up-happy baby! Performing annual maintenance on lawn mowers, snow blowers, etc. Have you instituted a family chore schedule? How has it changed the way you tackle household chores? What was the biggest challenge in putting your plan into motion? 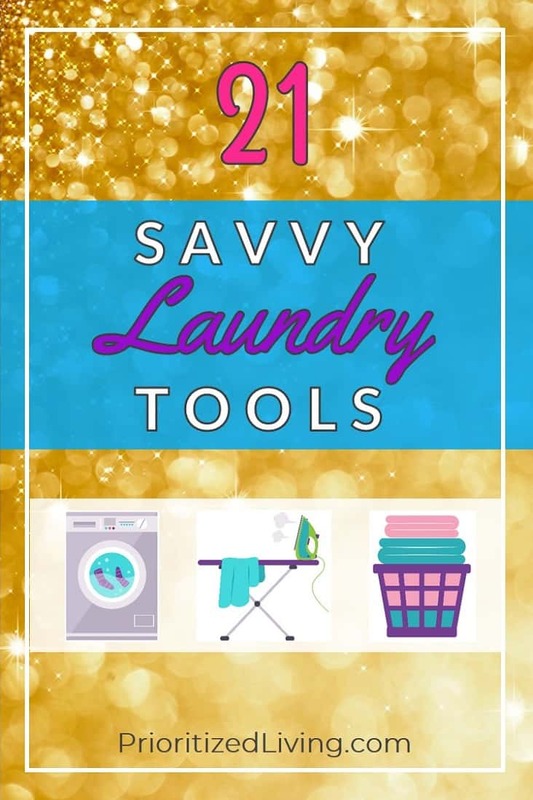 Save time, save money, and get organized for laundry day! Get this FREE time-saving list! SEND ME MY FREE LIST!